The following clarification on the use of UAVs was issued by Emergency Management BC a few weeks ago; it has important implications for SAR teams considering using UAVs. This is a significant development on project I’ve been working on for the past few years and I consider it important enough to post here on the blog. Unmanned Aerial Vehicles (UAV AKA Drones). There is growing interest in using UAV for SAR responses and there a number of factors that EMBC and our partner agencies need to consider before EMBC will support the use of UAV in SAR responses. Transport Canada Regulations – These are currently under review (http://wwwapps.tc.gc.ca/Saf-Sec-Sur/2/NPA-APM/actr.aspx?id=17&aType=1&lang=eng ) which may change some of the requirements which would in turn impact any policy that was created by EMBC. Some of the current regulations have specific limitations in terms of ‘flight over a built up area’, line of sight requirements and in proximity to other aircraft which need to be addressed. EMBC has confirmed that UAV use for a SAR response is not recreational and therefore needs to meet the requirements for Commercial UAV use including licensing, pilot requirements, flight approvals, safety management and insurance. Because of these requirements, at this time EMBC is only considering the use of UAV contractors that can demonstrate they meet the requirements of Transport Canada (under review as mentioned above). Privacy implications – Following the submission of a proposal from Coquitlam SAR (Note the only formal proposal that EMBC has received for UAV use) it was recommended from Police Services (Min of Justice) and the Office of Chief Information Officer that a Privacy Impact Assessment be conducted to determine the process for handling private information that is gathered during UAV operations (pictures, video etc). 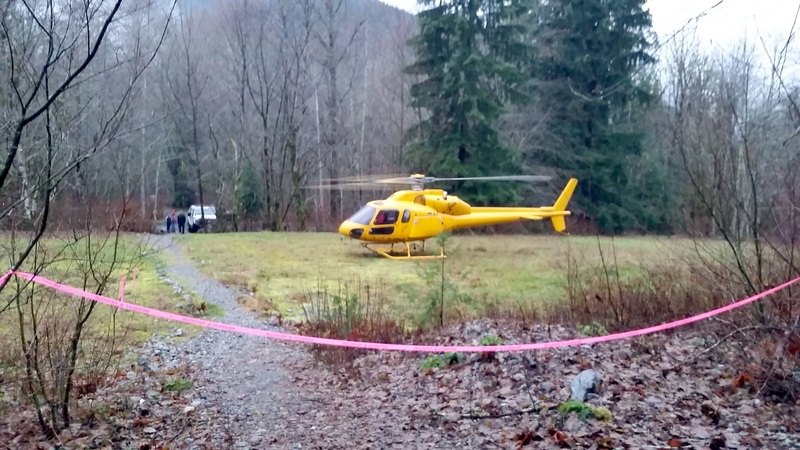 EMBC has supported the Coquitlam SAR pilot project and will consider other applications in other geographic regions and will proceed with the pilot after conclusion of a Privacy impact assessment and consultation with Transport Canada is complete. We are expecting that this will be completed in early January. The Pilot projects will be up to a year and look at variety of factors that include risk/benefit, costs and deployment times to name a few. Until the pilot projects are complete and EMBC develops a policy on UAV use, we will only consider the use of UAV on task in exceptional circumstances. In the interim UAV use will only be considered by private contractors that meet the Transport Canada regulations and have the appropriate insurance. On a related note the RCMP have a UAV program in various parts of BC, primarily for accident reconstruction and are interested in supporting SAR. There will be more information from the RCMP about accessing this resource in the near future. Not a UAV, right Peter? 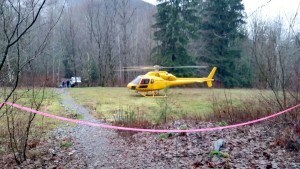 I was surprised to hear that no other SAR groups had put forward proposals considering the large number of people who have publicly and privately expressed interest in using UAVs for SAR – and the many teams and people who have either attended UAV demos I’ve organized, or incorporated demonstrations into various SAR exercises. As part of my own efforts to understand how we can use this technology for SAR I’ve organized no less than four separate public demos for SAR members to come and participate. I’ve also presented at a national UAV conference on this topic. We also have an email list where people can share their experiences, and I’m working on a forum for the same purpose. While the regulatory framework around UAVs is in flux, some of my postings on UAVs over the past few years are still relevant – I’m including the links at the end of this post. Interesting. Any body in the lower 48 have any experience with using uav’s in sar?